With 6 options to choose from, you can confidently meet the unique needs of any patient. When you need to limit range-of-motion, our ROM hinge provides the control you need. When you don’t, you can opt for a more streamlined, polycentric hinge. ROM braces available in 12” or 16” Length. 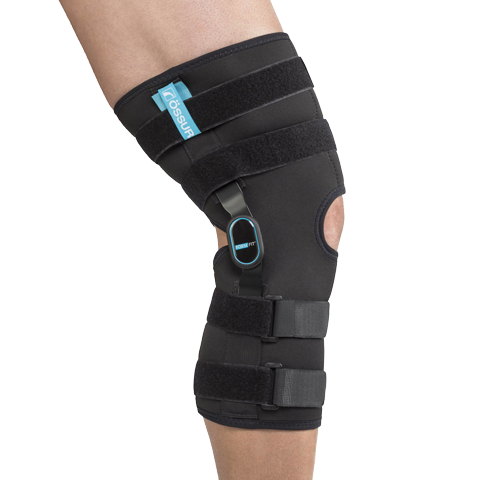 The Formfit knee brace is a versatile, high quality knee orthosis for the acture or chronic knee condition. Its wrap-around closure and range-of-motion joint capability provides numerous options for the clinician. Adjustable ROM stops allow variable extension and flexion range options.